"Our intention is to completely create a new political order in Nigeria that would retire the backward, corrupt, inept and wicked political class in Nigeria," he said. 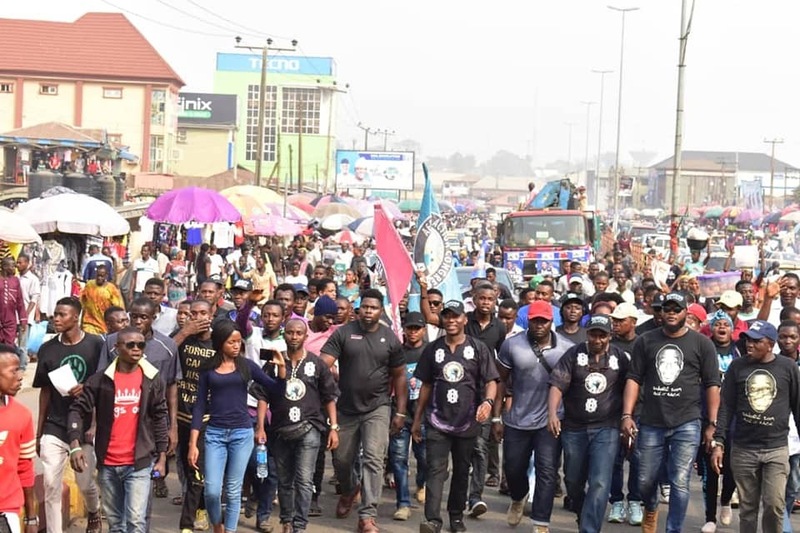 Sowore also asked the youth to be ready for "total liberation" by voting out old, corrupt politicians from power on Saturday. He said: "Saturday is an opportunity for us to vote for a new Nigeria. Join me and let us retire those who have plunged our country into a mess on Saturday. So, I have no doubt that we are winning this election. We are third on the ballot paper. Ensure that you vote for our party (AAC). "We are reaching out to the people of Nigeria not to be afraid; they should not reduce themselves to two options only. They cannot reduce themselves to the option of the hard rock and the deep blue sea. Our destiny is not supposed to be caged that way; that is why we are providing a solid alternative and we understand our people are getting the message. The AAC candidate expressed optimism about becoming the next Nigerian President, saying he doesn't feel threatened by the All Progressives Congress (APC) and the Peoples Democratic Party (PDP). "We have taken our revolutionary campaign to 34 states across Nigeria, including the Federal Capital Territory (FCT), and we have visited all the six geopolitical zones. We have visited places twice. This is our third time in Akure, Ondo State. We have been to almost seven countries outside Nigeria, and organised about 240 political events," he said.